Business Intelligence Development Studio also provides an environment for running Report Designer and Model Designer. These are the design tools that you use to author the reports and models in Reporting Services. When you open a Business Intelligence Development Studio project or designer, you will see project-specific menus in Visual Studio. In addition, the Visual Studio menu options and shortcut menus change to reflect both the project type that you are creating and the specific items that you are working with. As you explore Business Intelligence Development Studio and the Reporting Services features discussed in this topic, you can right-click on various items to learn about these options. If you have used SQL Server Reporting Services before, you will probably be familiar with the Visual Studio functionality in Business Intelligence Development Studio. If you have not worked with Reporting Services before, this topic helps orient you to the projects and menus in Business Intelligence Development Studio that are specific to Reporting Services. 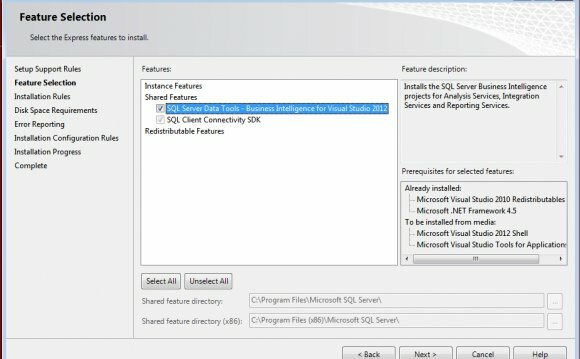 SQL Server Business Intelligence Development Studio, the 32-bit development environment for Report Server and Report Model projects, is not designed to run on Itanium-based computers and is not installed on Itanium-based servers. However, support for BI Development Studio is available for x64-based computers. The following table describes the supported versions for authoring and publishing reports in Business Intelligence Development Studio. Upgrades 2003 RDL and 2005 RDL to the 2008 RDL schema locally. Does not support 2008 RDL schema.